Orexo announced its plans to launch Zubsolv (buprenorphine and naloxone) sublingual tablets in a new 8.6mg/2.1mg strength. Zubsolv is a CIII controlled substance that combines buprenorphine HCl, an opioid (partial agonist-antagonist), and naloxone HCl, an opioid antagonist. It was approved in July 2013 for the maintenance treatment of opioid dependence as part of a complete treatment plan, including counseling and psychosocial support. 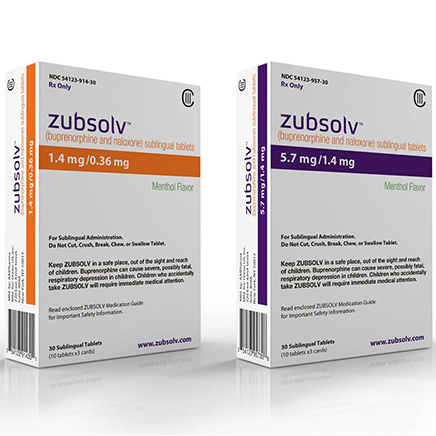 Zubsolv is currently available in 1.4mg/0.36mg and 5.7mg/1.4mg strengths. The new strength is also based on the same proprietary formulation as the existing strengths, offering higher bioavailability and a faster dissolving time. The new menthol-flavored 8.6mg/2.1mg strength sublingual tablets will be available in the first half of March 2015. For more information call (855) 982-7658 or visit Zubsolv.com.